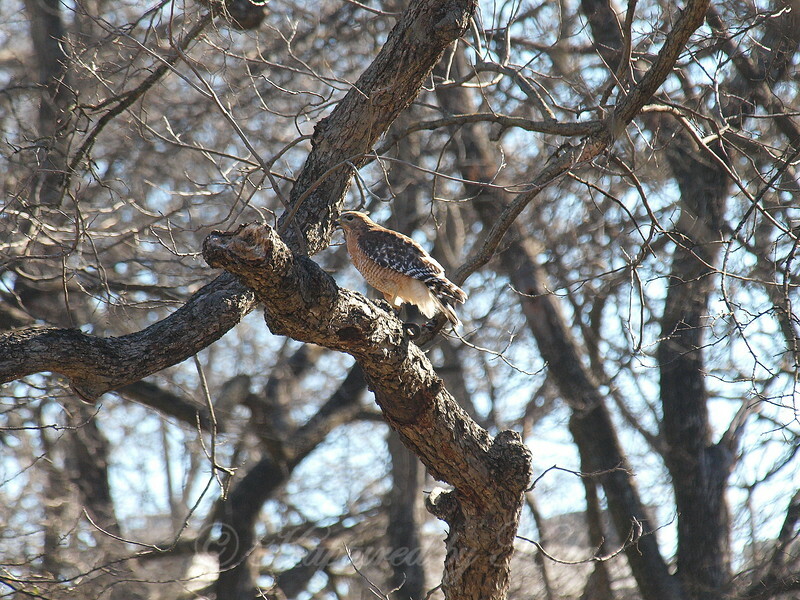 When the male hawk disappeared in search of more nesting material, I looked around for the female. Finally spotted her in the woods up high. This shot is when I first saw her.